Sandows has launched a sparkling soda infused with cold brew coffee, which it claims to be the first of its kind to be released in the UK. Credit: Peter Landers and Sandows. UK-based cold brew coffee company Sandows has launched a sparkling soda infused with cold brew coffee, which it claims to be the first of its kind to be released in the UK. The cold brew sodas are dairy and gluten-free, as well as having sugar levels below the 5g per 100ml UK Soft Drinks Industry Levy threshold. They will be available in two flavours, spice and citrus, which are infused with Sandows cold brew. Spice contains ginger, orange blossom and black spice, and citrus contains lemon, lime and grapefruit. The company says its sodas offer a unique alternative to sugary energy and soft drinks, while still containing natural caffeine from their coffee base. Co-founder of Sandows Hugh Duffie said: “As the original British cold brew brand, with over four years-worth of insights from sampling hundreds of thousands of UK consumers, we have a unique perspective on the UK cold brew category. “Our range of cold brew drinks without milk gives retailers the opportunity to position cold brew as a great low or no sugar pick-me-up for the afternoon slump. “The launch of our premium sparkling sodas is the next step in our journey and it’s exciting to be innovating the category with a UK first. The ready-to-drink sodas became available from UK retailers, such as Selfridges and Whole Foods, in April. 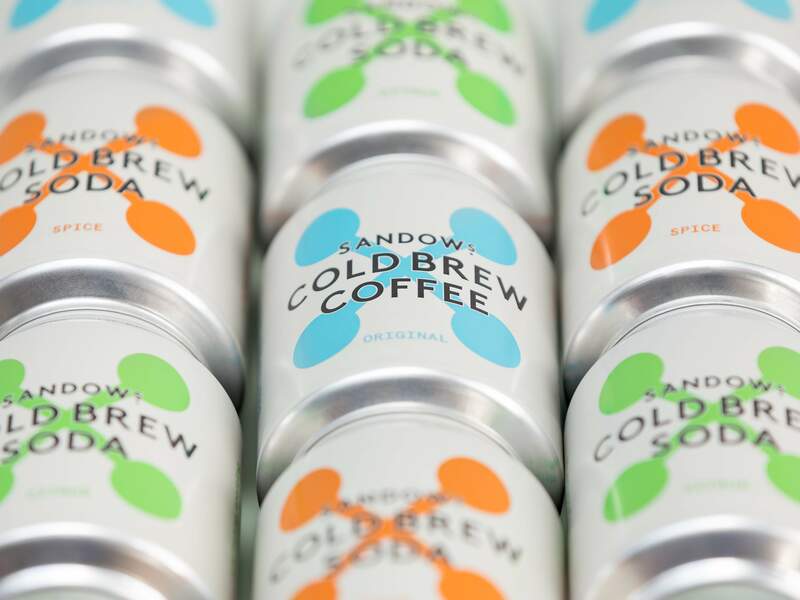 Alongside the launch of cold brew sodas, Sandows unveiled new 250ml can packaging for its original cold brew product. It has the same sugar- and dairy free recipe made from speciality-grade coffee mixed with cold filtered water and brewed slowly overnight. Other products in the company’s portfolio include bottled cold brew, on draught from cafes and restaurants and concentrate for use in cocktails.